When you are looking for used cars for sale but have less than perfect credit, you need to head to your local buy here pay here dealership in Fort Wayne, Indiana. We have a large selection of used cars trucks and SUVs to choose from here at the car dealer near you. Here at Auto Credit USA, we want to help you buy a car no matter your credit score. Let the team at Auto credit USA help you into your next car truck or SUV here in Fort Wayne, Indiana. At Auto Credit USA we have a vast selection of used cars for sale in Fort Wayne, Indiana. Whether you are looking for a family-friendly sedan or a sporty coupe you can find it here at your local buy here pay here dealership in Fort Wayne, Indiana. If you are looking for used sedans for sale come and everything from a used Honda Accord for sale, to a Toyota Prius for sale and everything in between at this Fort Wayne car dealership. These family-friendly vehicles come in many different makes and models that are sure to fit all of your needs. These used cars are ideal for busy families on the go, or someone looking for excellent gas mileage. We have a large selection of used sedans for sale here in Fort Wayne, Indiana. Or, if you are looking for something a little more sporty come and see one of the many used coupes for sale in Fort Wayne, Indiana. These used cars are sure to turn heads as you drive through the streets of Fort Wayne, Indiana. When you are looking for a large selection of used cars for sale, come to Auto Credit USA in Fort Wayne, Indiana. If you are looking for pickup trucks for sale that are both powerful and full of the latest creature comforts come and see one of the many used 4x4 trucks for sale in Indiana. These used trucks for sale at your local Fort Wayne car dealer are ready for whatever you throw at them. With four-wheel drive, your truck can handle almost any driving condition, whether it be deep snow or muddy roads. When you drive a used 4x4 truck, you get the more precise handling and control when towing. If you are looking for used trucks for sale that give the best of both world, check out our diesel trucks With towing capacity and the ability handle almost any driving condition, these are the trucks for you. Diesel trucks offer more torque, a larger payload, and better-towing capacity. Here at Auto Credit USA, we understand that when you have bad credit getting approved for an auto loan can seem nearly impossible. Which is why here at this Fort Wayne car dealership we work with you to find financing options that will work for you. We are happy to help anyone from the Fort Wayne area get back on track with their finances. We realize that bad things sometimes happen to good people. That’s why if your credit is not what it should be due to divorce, medical bills, layoffs, even bankruptcy, you owe it to yourself to see us at Auto Credit USA. 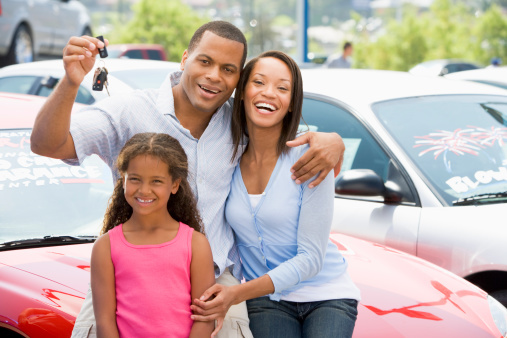 We are happy to help you purchase a car regardless of your credit history, and unlike traditional car loan process we will work with you to figure out a financing plan that works for you. Working with Auto Credit USA your local buy here pay here dealer makes car buying easy. With buy here pay here financing we can get you approved for a car loan whether you have no credit, poor credit or bad credit. At Auto Credit USA we offer low-interest rates and affordable payment plans to help get you back on the road. Not only that but the finance center we can help you establish or rebuild your credit as long as you meet your payment schedule. We report monthly to the Credit Bureau, and your repayment promptness is always noted throughout your loan term. When you are ready to start the process of rebuilding your credit history, come to your local Fort Wayne used car dealership Auto Credit USA. For more details on used cars for sale and the services we provide to drivers in and around the Fort Wayne, IN area, please feel free to contact us through our website or call us at (888) 838-1413.